Tamil Nadu government has set up e-smart ration card schema to take the existing system to the next level. 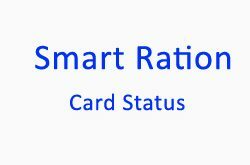 The government will automatically convert old ration card into the e-smart cards. The smart ration cards are available on the official TNPDS website. You can also download and print smart ration card from TNPDS website. Follow up for the procedure guiding. Select the beneficiary tab on TNPDS Website. Now you register your mobile number. You will receive an OTP to the given number, enter the OTP. Click on Save to save the PDF file to your desired location. And also takeout a Print Smart Ration card from TNPDS website for further use. Follow the above process to download and print your smart ration card from TNPDS websites. Yes. They have removed this option. Still they keep posting the same procedure. No one has answers to this question. BECAUSE OF MISUSE THEY REMOVED. YOU CAN GO TO THE NEAREST E=SERVICE CENTER AND GET PRINTED. In E-seva also print is not available. my card no.97A0536264 pls send my ration card. No user id.and password. Only need your mobile number which registered with smart card. Take mobile when contact e service they will send OTP to your mobile and just show it. My tn smart card no is 97A0675003 card delivery to ratio shop but not given. I asked but he said your card is not despatched. So plz reply me. Sir ration office la apply panna confirm ah duplicate card issue panrangala.